HMS Belfast is a second world war light cruiser which is moored in the heart of London on the River Thames. 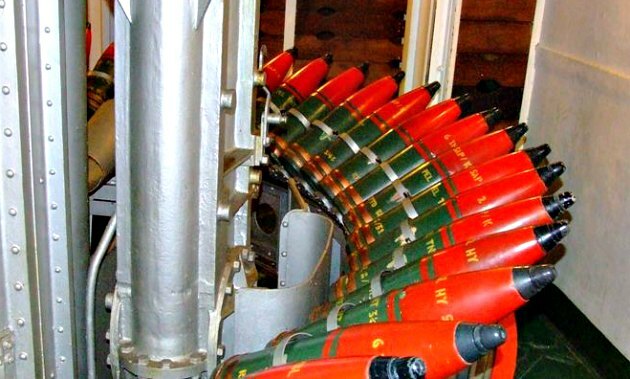 It ended its life in the Royal Navy in 1963 after service in the Korean War, but now has a new life as one of London’s most loved military tourist attractions. On your visit, you will get to see almost every inch of this vessel. Be aware that there are lots of tight spaces and metal ladders to climb, but if you’re up for it, you will really get a feel for what it would have been like to serve on a ship like this. 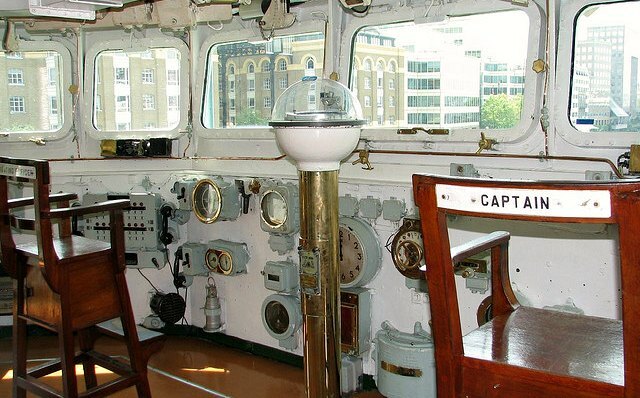 You’ll see the wheelhouse (pictured above), the captain’s quarters, the engine room, the torpedo room, the medical facilities, the bunks and much more. There’s something for people of all ages here and our kids in particular absolutely loved it! 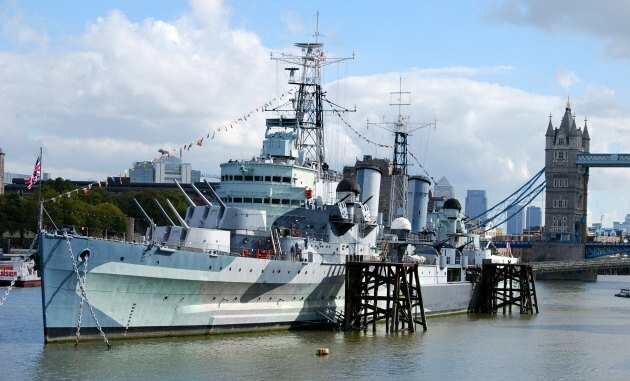 HMS Belfast is open daily except 24 – 26 December, from March to October between 10am and 6pm and from November to February between 10am and 5pm (last admission 1 hour before closing). Adult admission £14.50 (2016 prices) with discounts for children, students, seniors and a special family ticket also available. You can see HMS Belfast from the river on the London River Cruise. HMS Belfast is moored between Tower Bridge and the Hays Galleria shopping centre on the South Bank, opposite the Tower of London. The nearest tube stop is London Bridge.